Ignition Electronic CDI with automatic advance. Rear Suspension Floating engine unit secured to frame with 2 arms at right angles with each other, and 1 twin action hydraulic shock absorber, with adjustable spring preload. Stroke, 105 mmm wheel travel. When it comes to style, Aprilia is certainly one of the most talented motorcycle manufacturers the world has seen. The Atlantic 300 is another beautiful creation of the Italian manufacturer and its unique appearance combines practicality with sportiness in a tasty package. But, exterior beauty is only the first part of the equation. 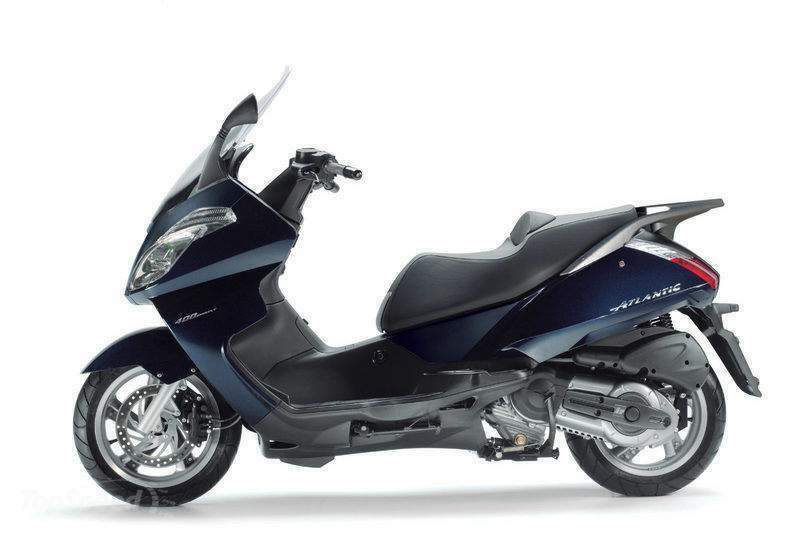 The second one is even more interesting as the Aprilia Atlantic 300 hides a lot of modern technologies under its sporty skin. 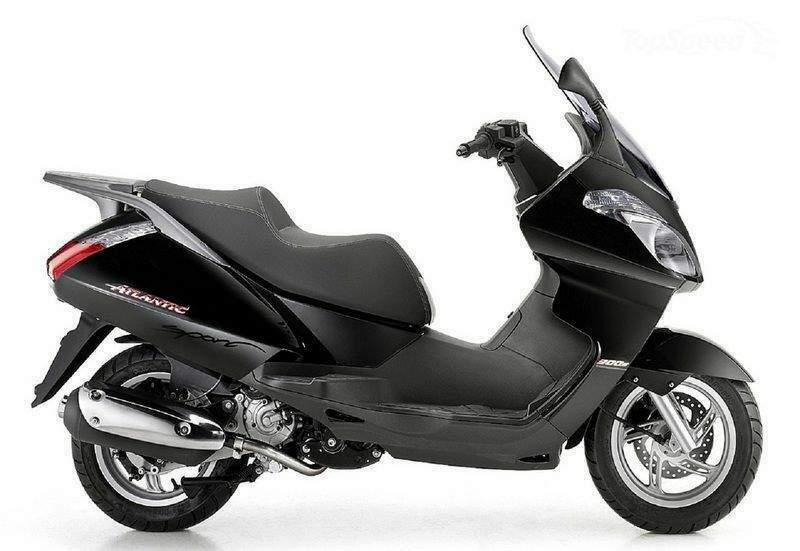 The scooter is powered by a horizontal single-cylinder 4S 4V engine with a displacement of 278 cc. The engine cranks out 22.4 hp at 7500 rpm and 23.8 Nm of torque at 5750 rpm and is paired with an automatic CV transmission. You also get a comfortable riding position, a well tuned chassis and a innovative suspension system which allows you to fully exploit the engine power. 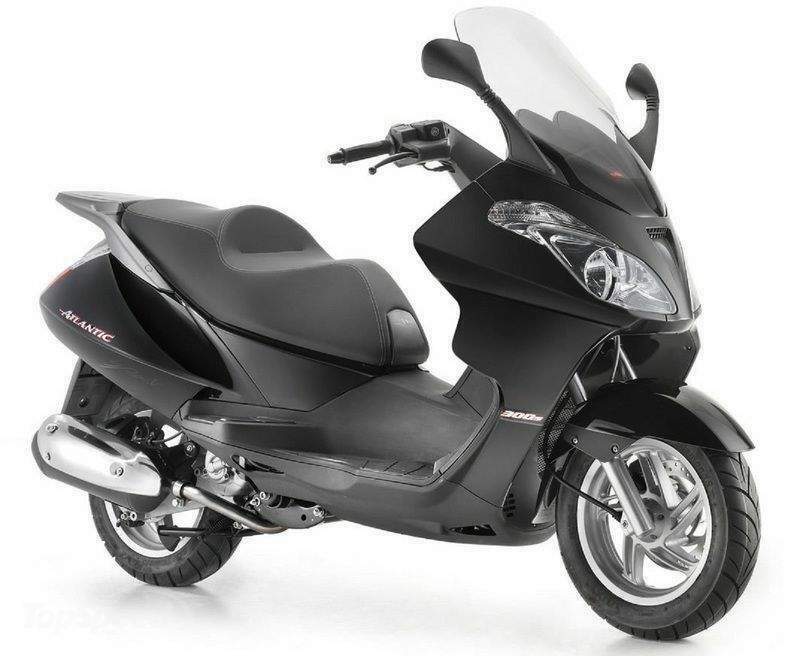 Hit the jump for more information on the 2012 Aprilia Atlantic 300. An essential, authentic, unique design, in perfect Aprilia style. Aesthetic care for each single detail, irradiating exclusivity and elegance wherever you go. But there is more than beauty. Atlantic 300 hides a world of manufacturing efficiency and functional comfort: riding position, chassis stiffness and the innovative suspension systems allow to fully exploit engine power as well as to follow any trajectory with the utmost accuracy. Atlantic 300 is the ideal vehicle to move wherever you want with the maximum freedom and easiness: in city centre traffic, on ring roads, on the highway. Both rider and passenger travel comfortably on the new wide and ergonomic saddle, enjoying an oversized space for legs and a high streamlined protection thanks to the winding-up lines of shield and windshield. For a short- or long-range trip, Mon-to-Fri or at the weekend, solo or two-ups, Atlantic 300 opens the road to maximum fun, safety and comfort. So, take a seat and throttle your city "navigation" up.